our technicians provide clients with prompt, expert service. 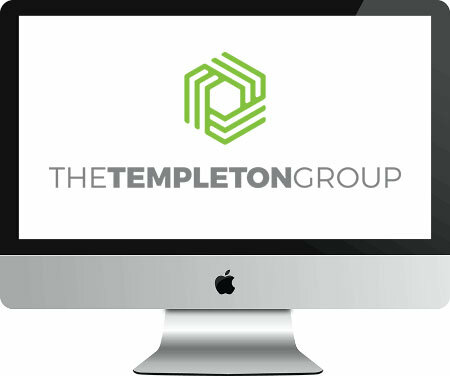 The Templeton Group offers full Apple support to New York companies who don't have the budget or the need to maintain their own in-house IT department. With Templeton as your outsourced IT department, you will have the peace of mind that your Mac issues are being handled quickly and professionally. We have built our reputation by offering Same Day Support. We realize how important technology is to your business, and for that reason Templeton provides one of the fastest response times in the industry. Even the smallest technical issues can become serious if not dealt with promptly by a professional. At Templeton, you communicate directly with our technicians, not a dispatch service or complex ticketing system. Your emails and calls are answered by a certified tech who is ready to help. FOR EMERGENCY SITUATIONS, TEMPLETON CAN HAVE A TECH ONSITE same day. We are passionate about Apple and Mac Support Service is our primary business. Why would you trust your technology to Windows Support people with limited Apple knowledge and expertise? With Templeton, you can be confident that your technology is being handled by Apple-certified Mac Experts with years of experience. For your small business, Templeton acts as your outsourced IT dept. We are on-call and ready to work when you need us. We can provide all aspects of IT support, consulting & service. Lean on us for any tech problem or question you may have. Let us deal with the headaches so you can focus on your business. We are real experts providing rapid response and 17+ years of experience. Let us take the confusion and stress out of your Apple technology and give you the support and the answers you need. For your growing business, Templeton can provide the prompt, professional support service you need at a fraction of the cost of a full-time support person. Your technology is critical to the success of your business so why would you put it in the hands of anything other than proven experts? Our team can assist with budgeting, life-cycle analysis and growth strategies that keep your business moving in the right direction. On call and ready to help, Templeton is there when and where you need us. Templeton has had the pleasure of providing support and consulting services for many Fortune 500 firms over the years. We understand the issues that arise in cross-platform environments and we can work with your exisitng IT staff to provide Mac expertise whenever they need it. Whether it's your art department, marketing, photography or anywhere your Macs live, we provide reliable support services to ensure that they are playing nicely with your overall IT structure. For larger firms, we provide Apple expertise to your current IT staff. We Are there when THEY need us. For small to mid-sized firms, we act as your on-call IT department.